EDGEWOOD, Md. — His death sent shock waves through Harford County and beyond. 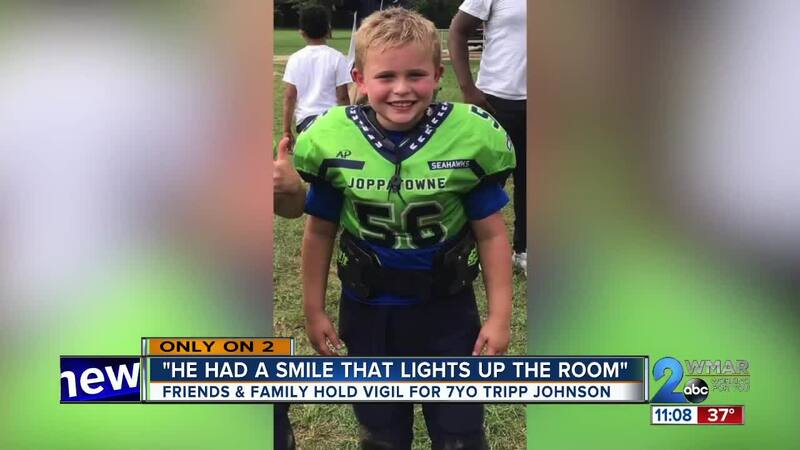 On Tuesday night, friends, family and community members gathered at the family's church to remember the life of 7-year-old Tripp Johnson who was killed in a 12-car crash in Bel Air last week. "This will show our love and support; that many people are there for them; that they are definitely not alone," attendee Cathy O'Hara said. It was an emotional night at Prince of Peace Church in Edgewood where he would have made his first communion this spring. "Just to remember that he didn't really die. He's still in our hearts and he's still with us and watching over us," Isabella Presberry said. 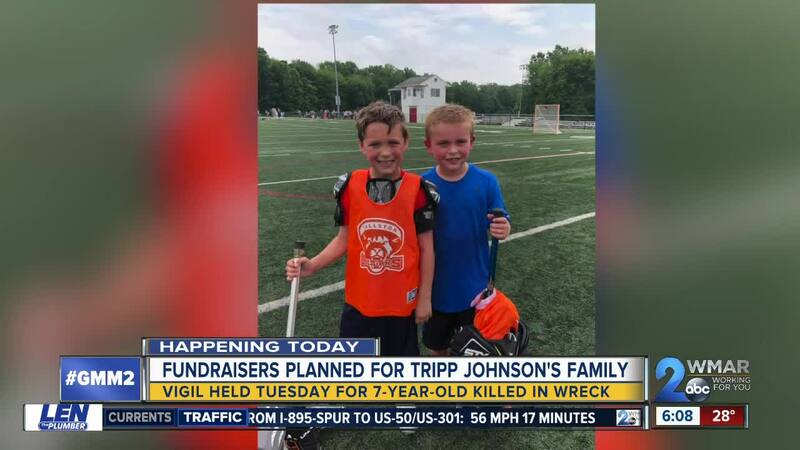 "We have been blown away by the support," Tripp's father's cousin Erika Jones said. "People have just come out of the woodwork to support our family and we couldn't be more appreciative... It is one little piece of beauty in the midst of something that's been really really hard." "I think anybody who even sees his picture can see that he had a smile that lights up the room and we just talked about how we don't just say that because he's not here anymore, but he was just the best kid," Jones said. "Happy go lucky somebody said recently and I was like that's so totally him." "When we were at school, he was always the first one to raise his hand to read and say stuff," Karina Presberry said. "He was a really good friend of mine," Colt Castle said. "We camp a lot and that will be my biggest memories are those boys in the creek and in their boots and getting wet and getting into a little bit of trouble," Jones said. "We said we were raising a little group of hellians because the boys just loved each other and had fun together." "I wish he was still here. I wish I could play with you," Castle said. All 7 Burger King locations in Harford County will donate 20% of their proceeds. Enotria in Forest Hill will donate 20% as well. Texas Roadhouse in Fallston will donate 10% of their proceeds. Serenity Salt Spa will donate 20% of salt room session purchases. Odyssey Salon and Day Spa will donate 20% of retail sales through the 23rd. The doctor's officer where Tripp's mother works is collecting donations. The address is Dr. Block - 3401 Box Hill Corporate Center Drive (suite 201) in Abingdon. Thursday, March 28, McDonald's Harford County locations will donate 15% of proceeds from 11-2 p.m.
Sunday, March 31, Jurassic Golf and Arcade will donate 40% of proceeds from 12-6 p.m.